3 Beds 2 Baths 1,213 Sq. ft. Nothing like this brand new quality built 3 bedroom 2 bath St. Albans Wood home in Turkey Creek with a great view of the pond! This home fully loaded with extras throughout such as granite counter tops, wood cabinets, high quality engineered wood look floors in the main living areas, ceramic tile in the bathrooms, stainless steel appliances, tray ceilings in the living room and master bedroom, a double vanity in master bathroom with room to spread out, a walk-in closet also in the master bedroom and so much more! 36"doors All this plus it's located in Turkey Creek - a gated community where all the amenities are included - use of the pool, clubhouse, playground, dog park, basketball and tennis courts PLUS all the exterior maintenance and lawn care is taken care of for you! 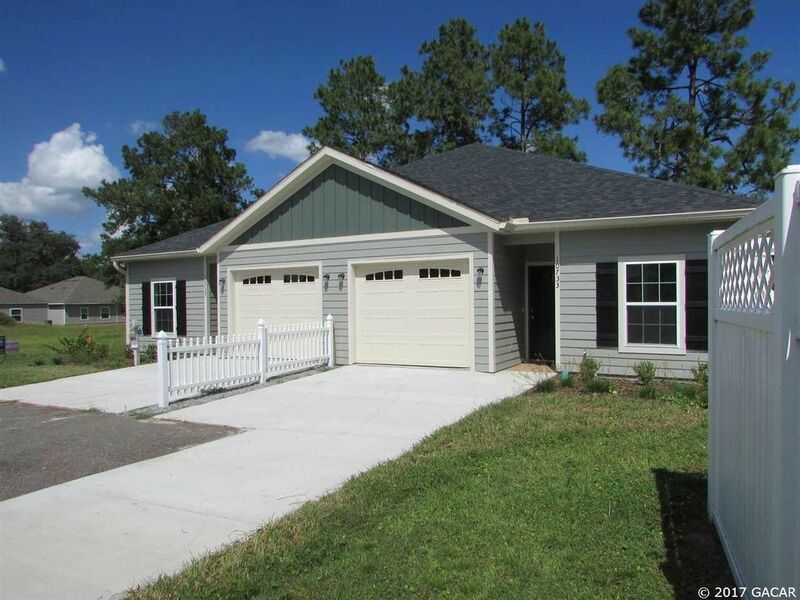 St. Albans Wood maintains all the exterior of the home, lawn & landscaping for only $115 / month incl the roof and you get to enjoy the Turkey Creek amenities for the additional $51 per month. Affordable maintenance free living! Come move in and enjoy the good life! This location also qualifies for USDA 100% financing for qualified buyers - ask your lender for more information - All this in a great location right off Hwy 441 between Alachua and Gainesville too!